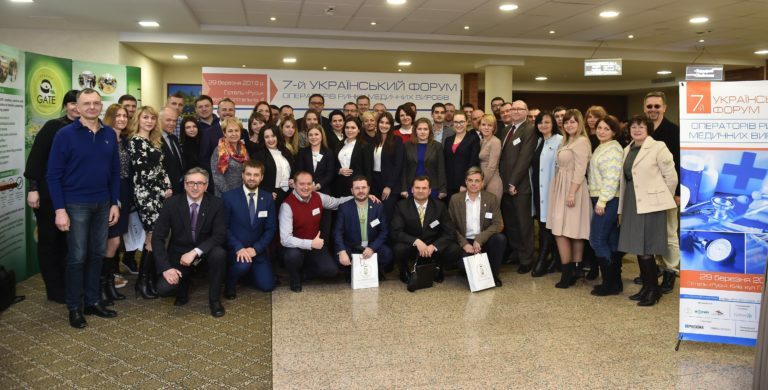 The 7th UKRAINIAN FORUM OF OPERATORS OF THE MARKET OF MEDICAL PRODUCTS (organized by the Association “Operators of the Medical Products Market“) was the first and only professional association of more than 60 national producers, importers, distributors and other participants in the market of medical products, as well as companies Morion and UkrKomExpo. The forum united over 200 participants this year: importers, manufacturers, distributors of medical products, consulting and legal companies, public organizations, government officials and the press. Daria Pogodaeva, the head of the regulatory service in Ukraine, RHARMAGATE, told about changes in the technical regulation of medical products in the EU. For more information, please refer to the link.